I've been struggling with getting back into the swing of things after the holidays, but I know that “I'll just do it next month” isn't the right response. 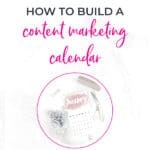 So let's talk about what you can do at any time to generate content for your business: let's talk about how to build a content marketing calendar! First, I want to make sure it's not too broad of a topic that I'll have a difficult time staying focused. 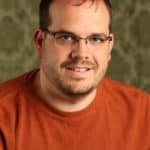 Broad themes force you to run the risk of being tangential and too generic…or force you into creating much more content than you have time for. Second, I want to make sure it's not too specific that I can't come up with anything to write about. Too specific of themes can pigeon-hole you into too little content, where you're struggling to make correlations that just don't make sense. Once I solidify my topic, I can write my big content piece: a blog post. (You can also visit our post “6 Small Business Copywriting Tips“!) My main piece of advice is to write in your voice and be sure to use a spellchecker like Grammarly. Otherwise, don’t over-analyze yourself! You’ll fall into the trap of #paralysisbyanalysis. 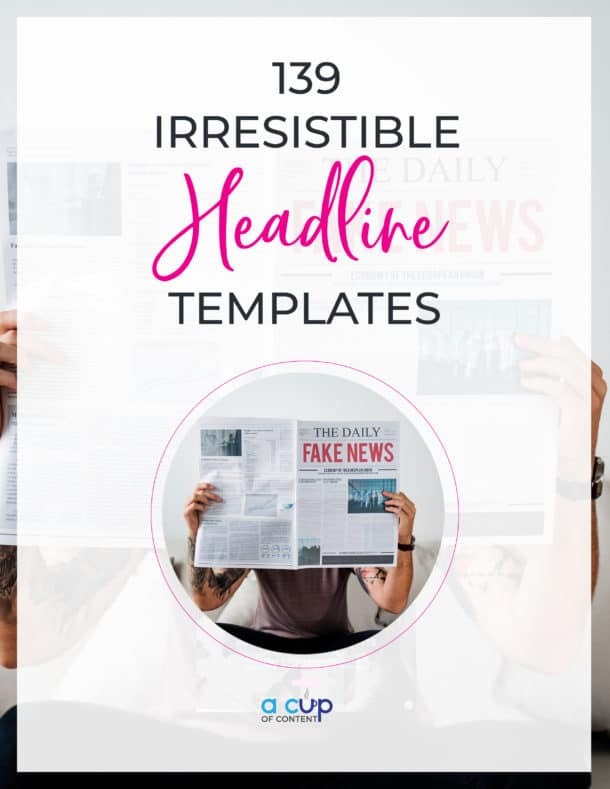 Download your FREE Headline Swipe File! 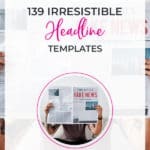 Join our mailing list to receive your "139 Irresistible Headline Templates" swipe file! No spam...we promise. SEND ME MY SWIPE FILE! Jackpot! Check your inbox for an email from hello@acupofcontent.com! 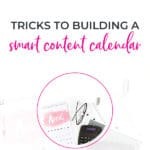 In A Cup of Content’s membership, I strongly encourage members to create their “big content” before they schedule out their social media. Then, you can create your content based on that blog post and have more opportunities to share said blog post. Never, under any circumstance, allow your blog posts to be one and done. Write all of your posts for the month out in a Google or Word Doc and then copy/paste them into your scheduler. Use a project management system like Asana or Trello to create your posts and then copy/paste them into your scheduler. Skip #1 and #2 and write and schedule right into your scheduler all at once. Whatever you do, do NOT skip this step! You don’t have to write a post for every single day of the month. Just to get into the habit, try writing 3 posts a week. That’s just 12 posts a month! 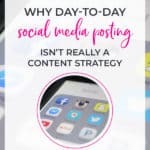 After you’ve created the habit, add a post a week. Be sure to always include an image with your posts, too; they garner the best engagement and click-through rates! Schedule an email/chatbot notification or record a live/static video. Don’t forget to tell your followers about your new blog post! Go live on Facebook, Twitter, Instagram, and YouTube and tell your following about your new post! Record a video in advance and share it on these platform and LinkedIn. Send an email out to your list about your new post. If you’ve created a chatbot, tell your subscribers about the post, too! Big content should never be one and done! Content might be king, but context is the queen who runs the joint. Only write content that jives with your business and is specific and meaningful. And, most importantly…WRITE. 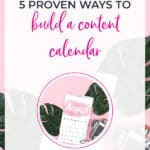 Create content on a regular basis. Engage with your target demographic. Find out what make them tick. Then create even more of that content. I guarantee your business will pick up. And if you need help with more specifics…we have a course for you! Check out our free trial! Need some simple tips for automating your social media? Sign up for our newsletter and we'll send you our 21 easy-to-follow social media automation tips! I have known Kim for quite awhile. She is professional and client-driven. In today’s world, social media is so important for any business. I have received so many compliments from my clients about how they enjoy my Facebook posts. Kim also developed my new website, which launched in January 2016. I would recommend Kim and her services to anyone. She is a huge asset, and I’m glad she is a part of my team! (c) 2019 by A Cup of Content. Made with caffeine by Content a la mode. It's not gonna get done if you don't make the time to do it. Are you ready to uplevel your business? Nobody but YOU can make it happen...and we'll teach you how! Success! Grab a cup of coffee and celebrate! Don't forget to add hello@acupofcontent.com to your "safe senders" list!